Herbert Müller († 24.5.81 Nürburgring) belongs with Jo Siffert and Clay Regazzoni to the most important Swiss car Racers of all times. The Herbert Müller Memorial Day [on the anniversary of his tragic death] celebrates "Stumpen-Herbie" as he was called by his friends and fans and preserves his Memory. Organizer is Herbert Müller's son Daniel, owner of the Forellensee Gstaad-Zweisimmen. Three of the rarest Porsche race cars ever will be shown at the exhibition at Forellensee. ​On all these cars Herbert Müller once drove; and not only but also up to Porsche 917's. 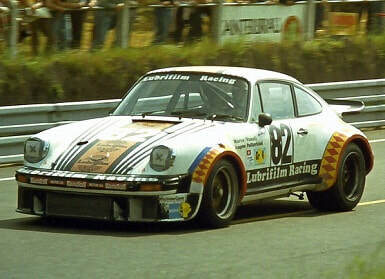 The Le-Mans car with Müller/Pallavicini/Vanoli is probably the most original Porsche 934 in the world. Class winner 1979 and 5th overall! It is still in first Hand. 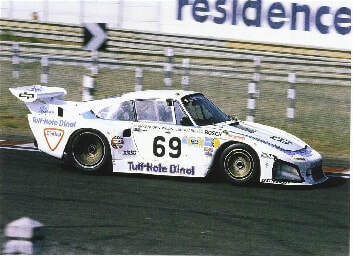 The icon Porsche 935 is one of the most valuable cars ever. Only very few have ever seen a (real) "live" car. 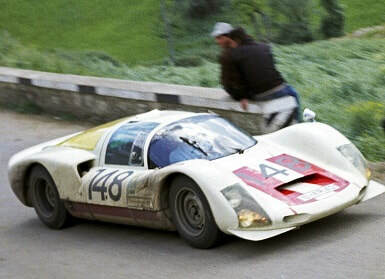 In 1966 Herbert Müller achieved his first big victory on a Porsche 906: together with Willy Mairesse he won the legendary Targa Florio. ​took part in the world-famous Monte Carlo Rally. multiple awarded Huus Hotel in Gstaad-Saanen. Participation fee 60 CHF per Car (with 2 Persons).